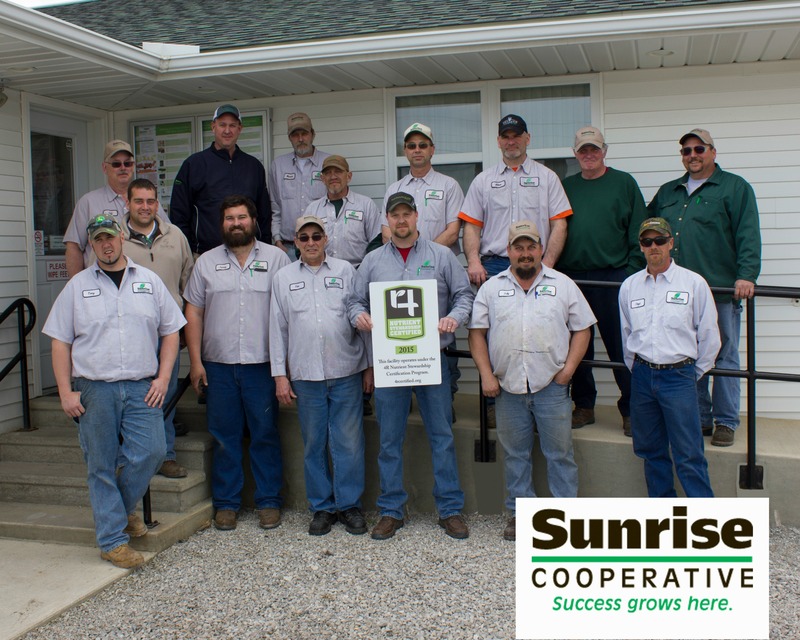 The 4R Nutrient Stewardship Certification Program has announced that all four of Sunrise Cooperative Inc.’s agronomy branches, located in Attica, Ballville, Crestline and Norwalk, have been added to the growing list of nutrient service providers to achieve certified status. 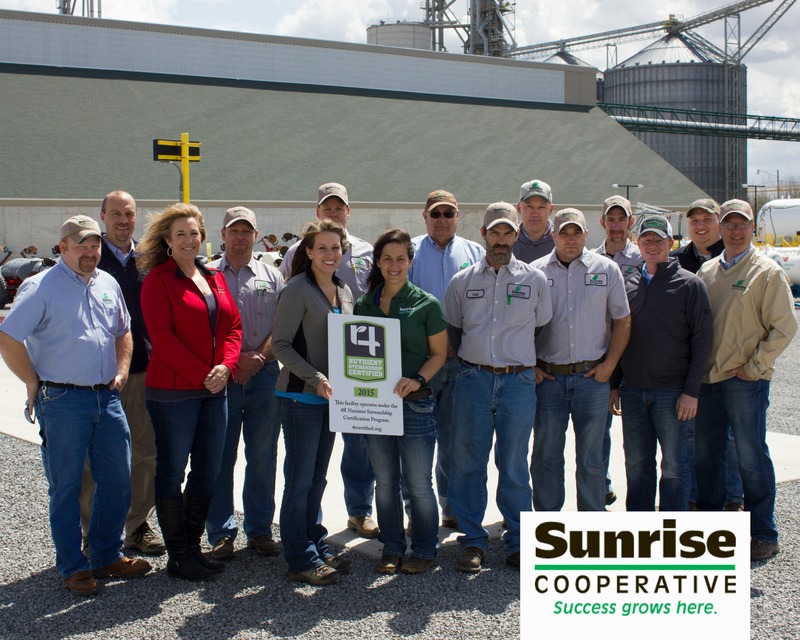 Sunrise is the first entity to have all of its locations certified in 4R Nutrient Stewardship. 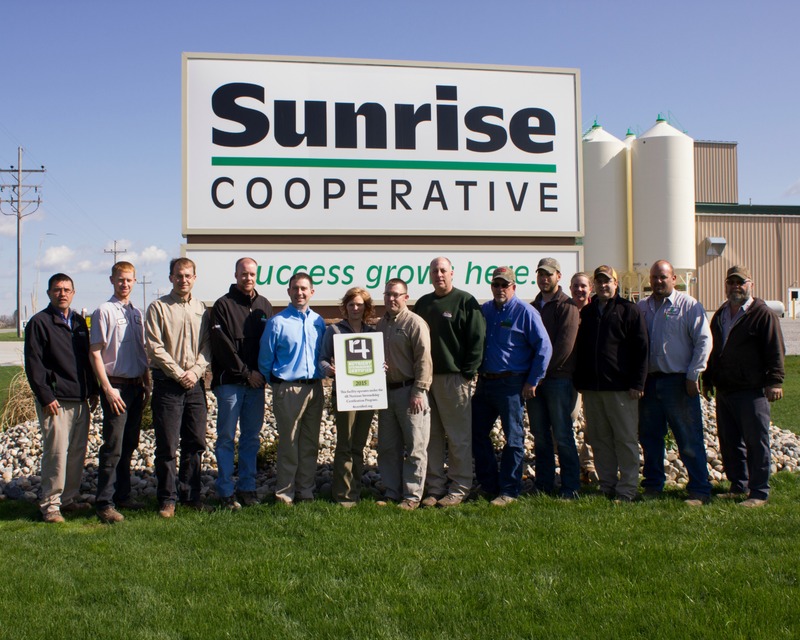 Sunrise is a full-service cooperative fully owned by its 3,100 farmer-members. The company operates three grain terminals, four full service agronomy locations with an ammonia satellite, offers bagged Purina Animal Nutrition feeds, and has an energy division offering propane, liquid fuels and bulk oils. Its agronomy division features more than 25 Certified Crop Adviser Board-certified agronomists and a certified professional agronomist on staff. The 4R Nutrient Stewardship Certification Program certifies that entities in the tri-state area that sell, apply or make recommendations on how fertilizers should be applied to crops are doing so in accordance with 4R Nutrient Stewardship principles – which refers to using the Right Source of Nutrients at the Right Rate and Right Time in the Right Place. Applicants must go through an audit and demonstrate they not only understand 4R principles, but also follow them. More than 950,000 acres and 2,500 farm clients are now serviced by those who have received 4R Nutrient Stewardship Certification. 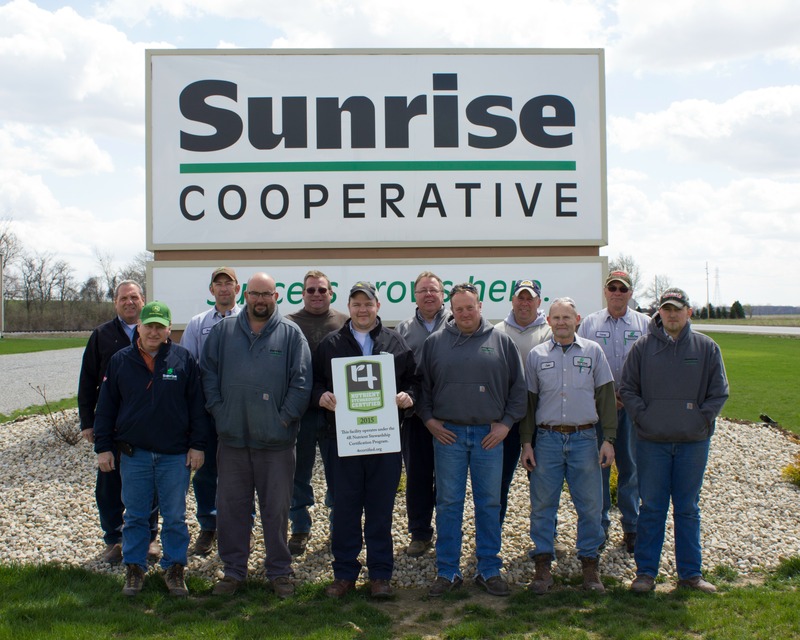 “Sunrise’s employees worked very hard to ensure that its operations were following the 4R’s, and we congratulate them for their stewardship practices and success,” said Andrew Allman, executive director of the Nutrient Stewardship Council. MEDIA: Download high-resolution photos of each facility receiving their 4R certification signs by clicking on the facility name below. CUTLINE: (Front Row – L to R): Custom Applicator Tony Hill, Custom Applicator Jamey Kamann, Agronomy Operations Tim Temple, Operations Manager Dan Beal, Custom Applicator Billy Gayheart, Custom Applicator Floyd Penwell. (Back Row – L to R): Precision Farming Specialist Chris Goshe, Feed Warehouse Manager Jeff Zeiter, Agronomy Sales Consultant/CCA Vince Willman, Warehouse Manager Marvin Stacklin, Custom Applicator Rob Nutter, Custom Applicator Randy Breyley, Agronomy Operations Allen Phenicie, Delivery Driver Tom Nagel, Delivery Driver Doug McClellan. CUTLINE: (Front Row – L to R): Agronomy Sales Consultant/CCA Robert Brubaker, Customer Applicator Nick Siebert, Precision Farming Specialist Derek King, Custom Applicator Daniel Baker, Fertilizer Warehouse Manager Jon Yundt, Seed Treatment Specialist Aron Burmeister. (Back Row – L to R): Operations Manager Tim Giesige, Custom Applicator Ben Whitman, Custom Applicator Mike Burgess, Seed Warehouse Manager Mark Perry, Custom Applicator Mike Sanford, Chemical Warehouse Manager Danny Kimmet. CUTLINE: (Front Row – L to R): Agronomy Sales Consultant Trainee Zach Smith, Operations Manager LeeAnn Leeth, Agronomy Sales Consultant/CCA Christina Howell, Agronomy Sales Consultant Trainee Heidi Blubaugh, Custom Applicator Erik Sobers, Custom Applicator Matt Scherer, Precision Farming Specialist Matt Lutz, Location Manager/CCA Steve Niese (Back Row – L to R): Agronomy Sales Consultant/CCA Brian Rhodes, Shop Manager Brian Rietschlin, Customer Applicator David Ehrman, Agronomy Sales Consultant Mike Schreck, Seed Warehouse Manager Steve Davis, Custom Applicator Brett Heinlen, Precision Farming Specialist Josh Snyder. CUTLINE: (L to R): Location Manager Tony Myers, Fertilizer Warehouse Manager Josh Myers, Precision Farming Specialist/CCA Bryan Liskai, Agronomy Sales Consultant/CCA Keith Deering, Precision Farming Specialist Stuart Smith, Office Manager Cyndi Myers, Agronomy Sales Consultant/CCA Russell Culler, Agronomy Sales Consultant/CCA Tom Ruffing, Agronomy Sales Consultant/CCA Roger Stang, Agronomy Sales Consultant Tyler Bouy, Agronomy Sales Consultant Trainee Ashley Knipp, Seed Warehouse Manager Daryl Pena, Custom Applicator Matt Ott, Custom Applicator Kevin Siesel.